Beloved Masters, there is a Light Path that will lead you out of the density into the LIGHTNESS OF THE SPIRITUAL REALMS. The key that allows you to traverse this Sacred Path is within you–it is called your SOUL SONG. You are attuned to what is called your Energetic Signature while you are functioning within the Third- / lower Fourth-Dimensional environment. You are gradually attuning to your SOUL SONG as you move through the remaining sub-levels of the Higher Fourth Dimension, and into the entry level of the Fifth-Dimensional environment. Your Energetic Signature has resonance, cadence, tones and vibrancy, and it radiates forth from your seven major Chakra Centers and your auric field. It changes daily, along with your thoughts and deeds, for it is responsive to the ego-desire body personality, and to the constant highs and lows of the emotional nature. Gradually, the ego–desire body personality becomes a servant of the Soul, and your vibrational patterns slowly begin to return to a state of balance and harmony. When your base frequency patterns reach the mid-Fourth Dimensional level and above, your auric field gradually expands, and it becomes more radiant. At that time, your Energetic Signature will begin to align with your higher-frequency Soul Song. 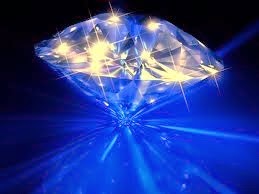 This, in turn, initiates a Clarion Call to the higher Facets of your Soul Self to begin the process of reunification. 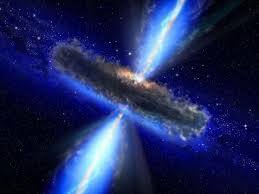 Your original Soul Song was in perfect harmony with the Celestial Soul Song of this Sub-Universe; it was how you were, and are, recognized by your Soul Family members and the great Beings of Light. 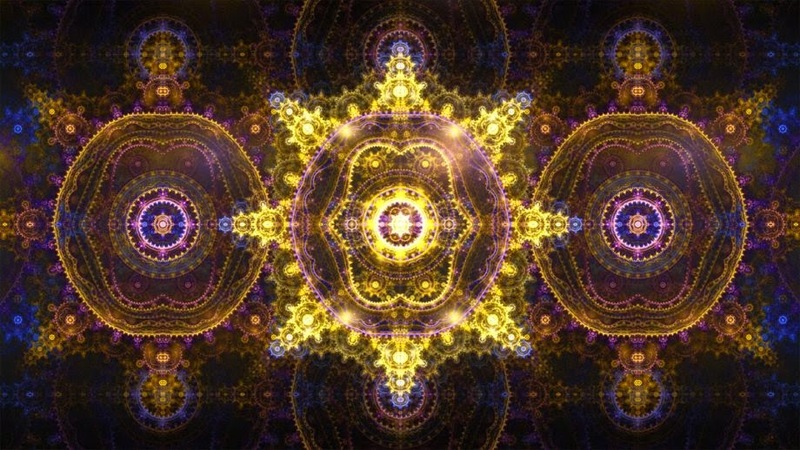 Each dimension has a unique resonance and an identifiable harmonic, sound pattern. Your physical existence is a reality focused on harmony and balance or the lack thereof, and the further you move into density, the more discordant your vibrational patterns become. As you refine your vibrancy, you are gradually becoming multidimensional, which means that you are tapping into the frequency patterns of several dimensions at once. In order to make room for the refined frequencies of the multiple levels of the higher Fourth, and the entry levels of the Fifth Dimension, there must be a clearing/cleansing process. Via the lessons and instructions we have given you over the years, we are endeavoring to give you the knowledge and the tools needed to traverse the Path of Ascension with ease and grace. When you achieve a certain level of harmony within, the gateways or portals within the physical body will open, and you will gradually gain access to the frequency patterns of the Higher Dimensions: the Ascension Chakra – Medulla Oblongata – at the base of the skull; the back portal of your Sacred Heart; and an expansion of the opening of the Crown Chakra. 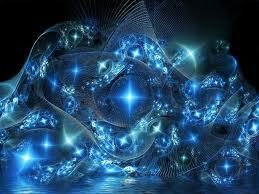 These are major steps in the Ascension process, for they re-establish your connection with the River of Life – the Cosmic Stream of higher consciousness – which contains the Living Light particles of Creation called Adamantine Particles. At that point, you will begin to build a force field of Full-Spectrum Creator Light as you strive to become a master of Self, and a conscious cocreator who only creates those things which are for the greatest benefit of all. From that time forward, your breathing exercises and affirmations take on a whole new meaning. As you strive to return to balance and harmony within the four lower bodily systems, physical, mental, emotional and etheric, you will gradually refine your vibrational patterns, which will guide you onto the Pathway of Ascension into the higher frequencies of Light. The chakra system will begin to take on the radiance of the five Higher Rays of Galactic God-Consciousness, which become available when your Energetic Signature is refined enough to tap into the frequency patterns of the mid-Fourth Dimension. The five Higher Rays will have a profound effect on the Seven Chakras of the Third-/ Fourth-Dimensional physical vessel. First of all, the reserve supply of Adamantine Particles of Light, stored within a Seed Atom in each chakra, will be released. The Kundalini, or Serpent of Sacred Fire, stored at the base of the Root Chakra will begin to rise, and the process called Opening the Seven Seals of Higher Consciousness will be initiated. The chakras will begin to spin truly instead of out-of-balance. They will change color and become iridescent, as they attune to the higher frequencies of God-Consciousness, and are gradually infused with the vibrancy and glowing luminescence of Creator Light. The different colored luminescent Rays will assist in integrating and balancing the higher frequency patterns of Galactic Consciousness. 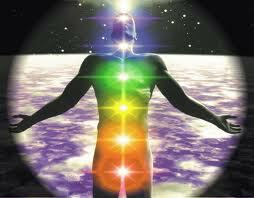 The more you balance, harmonize and strengthen your chakra system, the more Divine Light you will be able to absorb. The spinal column will eventually become a ROD of LIGHT and POWER through which the Streams of Creator Light can freely flow, unimpeded. 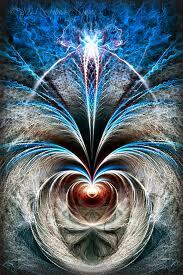 As a result of this activation, the process of Ascension will be greatly accelerated. Your I AM PRESENCE, or what we are now calling your GOD-SEED ATOM, is experiencing many realities at once. As you prepare to move into the entry levels of a Fifth-Dimensional environment, you will begin to experience some bleed-through telepathic thought forms, as well as information from some of your closer, most energetically compatible Higher Selves. You are becoming multidimensional, Spiritual / Human Beings. You are experiencing a physical reality and a non-physical reality at the same time. You have spent much more time in a non-physical reality than in the physical world. Earthly existence is merely a moment in time compared to the time spent in the higher realms. You are about to enter a doorway into another reality – a world where special talents and refined attributes will be a normal part of who you are. You are to strive to be a PRACTICAL MYSTIC. Allow yourself time to adjust to your rapidly changing persona. Do not endeavor to impress people with your wisdom or special talents, but seek ways to assist yourself and others to gradually adapt to your rapidly changing world, and to a new State of Being. How do you wish to experience the next five or ten years? How do you envision yourself? It is time to begin to build your new reality – your spiritual friends, Soul companions and your Higher Self can help you do just that – efficiently, gracefully, and in alignment with the new Divine Blueprint, and for the greatest good. Gradually, over the coming years, evolved Spiritual/human Beings will be greatly influenced by the radiance of the powerful Rays of Divine Light, which are now beaming down upon humanity and the Earth. 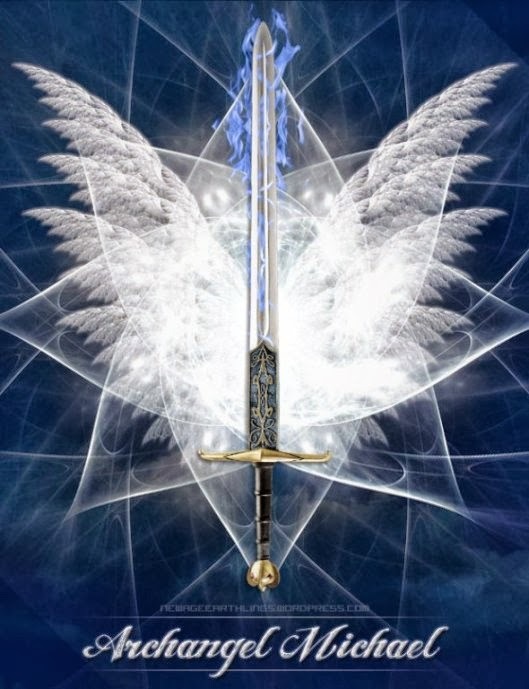 The great Archangels are RAY-diating forth the new Divine Blueprint for the Age of Aquarius, which was sent forth from the Supreme Creator, through the Father/Mother God of our Universe, to the God Parents of each Sub-Universe. Your conscious awareness will slowly expand to include all humanity, the Earth, Solar System and even the Galaxy. The higher mind will respond to the more refined, yet powerful, frequencies of Light, which will reveal unimaginable inventions and astounding new methods for the betterment of humanity and the Earth. The physical body must evolve into a more finely-tuned Energy Vessel, in order to accommodate the ever-increasing power of the God Rays. As a result, good health, vitality, and increased stamina will be the norm for those who are in the process of claiming their Self-mastery. As we have told you before, all of the Sub-Universes, within this Universe, are experiencing a megacycle of Light impulses, which are radiating forth directly from within the Heart Core of the Supreme Creator. The refined octaves of Creator Light are available to all, at whatever level each Being has prepared their vessel to accept and integrate them. The Light cannot begin to infiltrate the static or jumbled frequencies that make up the Third-/lower Fourth-Dimensional physical vessel without the permission of the recipient, and without an opening of the heart center. Your Soul Self, OverSoul/Higher Self, and your God-Seed Atom are waiting for the appropriate frequency signal signifying that you are ready to begin the process of opening the Light conduits containing the Adamantine Particles of Eternal Life. Divine Light permeates your DNA, and every Atom within your multiple body systems is filled with Light to one degree or another. If it were not so, you could not exist. It is time to unlock the flow of God Light from within and from without. Envision billions of minuscule Light Particles being activated within your physical body, and billions more radiating down from your OverSoul/Higher Self in the form of sparkling, Diamond Crystal Pyramids of Light. See yourself surrounded in a golden aura of Cosmic Light, and then observe as your Circle of Love/Light begins to expand. Know that you are emulating the Creator as you say to yourself, “Let there be Light.” Now watch as your unique Beam of God’s Light streams forth before you, smoothing, harmonizing, lifting, and transforming, via all the Elements of wondrous refined Creative Energy. As you become proficient in moving back and forth between your Fifth-Dimensional Pyramid of Light, and the Circle of Light you have built around yourself in the Third/Fourth Dimensions, your Sacred Mind and Sacred Heart begin to blossom and expand with the continuous flow of Divine Will, Love and Wisdom from your OverSoul/Higher Self. As a result, your world will begin to reflect your highest desires, your sphere of influence will expand, and you will draw to you those who are in harmony with the refined frequencies/ideals you now embody. Together, you will become active participants in weaving the gossamer fabric of the new reality that is being birthed on Earth. As a part of your transformational process you are, once again, becoming aware of the energies and uses of the crystals and gemstones found within the Earth. They, too, contain a portion of Creator Light. They were designed to assist you to clear and balance the energies within your bodily vessel; however, you must attune to their specialized energies, and then program them through your intention. They are eager to work with you, for as you awaken and come into harmony with the higher frequencies, so will they. 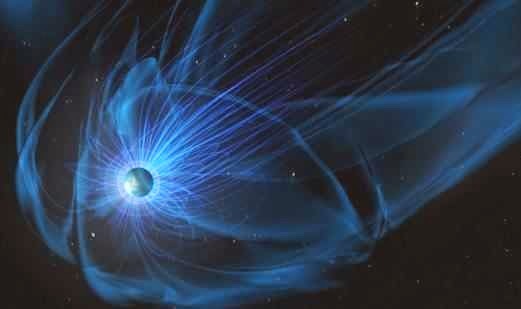 As we have told you before, they act as receivers, receptors, transmitters, and broadcasters of energy and information, both around the world, and even out into the solar system and galaxy. 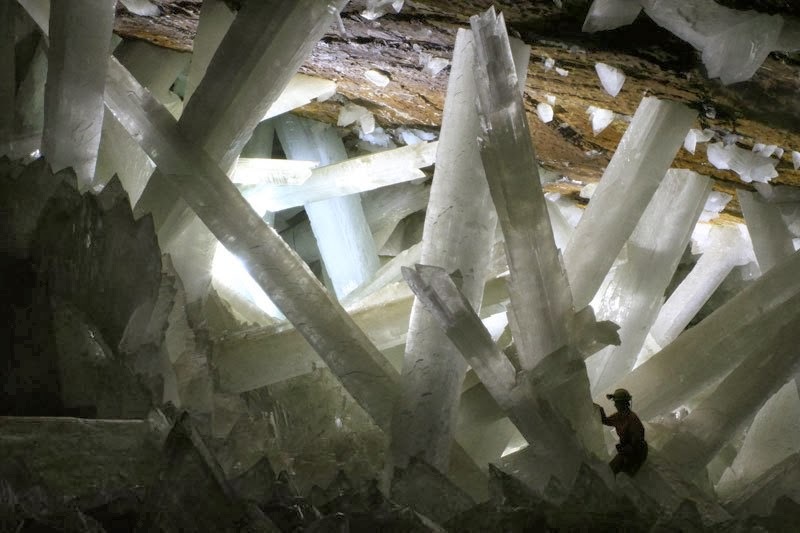 There are also Record Keeper Crystals, both large and small, and they are ever ready to assist you to activate the Memory Seed Atoms within your Sacred Mind, which will help you unlock the mystery and wisdom of your ancient past. The mineral, vegetable, and animal kingdoms are also in a state of transformation into a renewed, higher awareness – none will be left behind – all are in a state of transformation and greater awakening. It is a time of liberation, Beloveds. The desire for freedom is growing stronger within the heart of every sentient Being on Earth. It is also a time of coming together. Even as you are being reunited with your Soul/Star families, we of the Higher Realms are also joining forces. For many ages, humanity has been disconnected from the full, dynamic Presence of the Soul Self, and also from the Angelic Kingdom. But now, we are reuniting in order to create a synergistic overlay of consciousness that will be available to all who are prepared to be a part of the Living Light Team effort. We use this term, for you are comfortable with it, and it initiates a mind picture of many working in harmony together with purpose, and for a common goal. 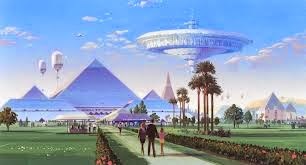 It is vitally important that you understand: there are great and magnificent Pyramids of Light within all of the Sub-Planes of the Fifth Dimension, where they are easily accessible to those of you who have done your Heart/Soul work, and have attuned your physical vessels to, at least, the higher Fourth-Dimensional frequencies of God Light. Within these Pyramids are all the components of Creator Light you will need to create anything you desire for the highest good of all. We are waiting there to join you and to become co-creators with you. So, bring your visions and your pure intent into your personal Fifth-Dimensional Pyramid of Light, and claim the miracles that await you. My faithful Bearers of the Light, you are awakening from a twilight dream-state whereby, for many eons of time, you have existed on a starvation diet of Half-Spectrum Light. Open your hearts and your minds, and expand your vision to incorporate your full endowment of the virtues, attributes and qualities of God-Consciousness. It is our great pleasure to assist, inspire and protect you on your journey back into the realms of Light. Know that you are loved most profoundly.